Reynolds currently serves as the Head of Musical Theater for the Department of Theater at Temple University. In the Philadelphia area he has worked at Act II Playhouse, Hedgerow Theatre, Philadelphia Theatre Company, Philadelphia Young Playwrights, Villanova Theatre, Walnut Street Theatre; Cape May Stage and the Lenape Regional Performing Arts Center in New Jersey. 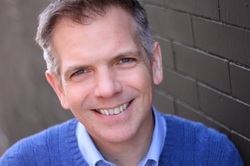 Peter hails from the Midwest and spent 6 years as Artistic Director of the award-winning HealthWorks Theatre in Chicago. Regional credits include: Oregon Shakespeare Festival, Chicago Dramatists, Theatre Building Chicago, Hot CIty - St. Louis, Arrow Rock Lyceum Theatre, and Maples Repertory. Brandon McShaffrey is the Producing Director of Mauckingbird Theatre Company. Where he directed their world premier of James Ijames THE THRESHING FLOOR. He is currently finishing his MFA in Directing at Temple University following his thesis production of RICHARD III. In Philadelphia, he has worked at Act II Playhouse, Hedgerow Theatre, Theatre Exile, Philadelphia Young Playwrights, Villanova Theatre and Drexel University. He is originally from Chicago where he worked as a Choreographer and directs and choreographs regularly at Maples Repertory Theatre. For more information please visit www.brandonmcshaffrey.com. Lindsay Mauck, a Mauckingbird co-founder, currently serves as Managing Director at Philadelphia Young Playwrights. Also a professional performer, she has worked on many Philadelphia and Regional stages including Act II Playhouse, Philadelphia Theatre Company, Forestburgh Playhouse, The Candlelight Theatre, Centre Theatre, Ritz Theatre, and Allenberry Playhouse. For more information visit www.LindsayMauck.com. Click here for information about how you can support Mauckingbird's Mission!